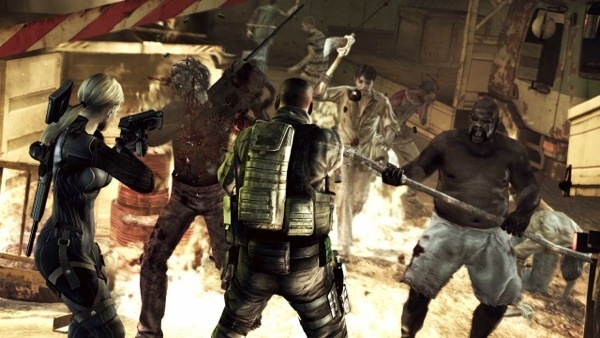 So what was your favourite bit of Resident Evil 5? The plot? The huge boss battles? The scary bits? Or maybe you were a fan of the action! Lots of guns with plenty of enemies to shoot, the more the better. Well if that’s your favourite thing about Resident Evil 5 then this DLC is right up your street! 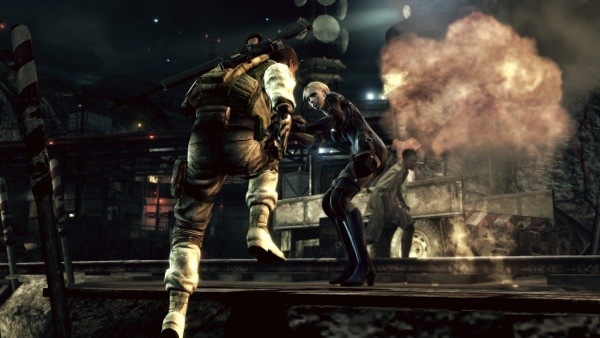 The events of Desperate Escape take place during the story of Resident Evil 5, after Chris & Sheva have taken care of Jill & Wesker they will have a chat with her before going after Wesker. Rather then going with Chris & Sheva this time the game stays with Jill as she collapses & is found by Josh. Remember him from the beginning of the game? Well he is back & together with Jill they begin to make their escape. Let’s get this out of the way now…Desperate Escape is not a good DLC & not value for money. It drops any semblance of survival horror & becomes an action packed race against time. 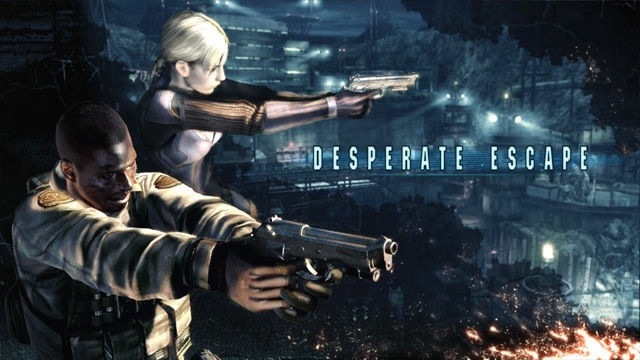 Like Resident Evil 5’s main game, Desperate Escape is a co-op experience be it with a poor AI or human partner. This time you can choose between Jill or Josh, both have their pros & cons. Jill starts with a machine gun while Josh uses a handgun but with a plethora of weapons around as early as the first area there is little reason to worry about who has the better weapons. Most of the bad-guy heavy areas can be passed by running to the objectives barely firing a bullet. Other then 1 area where you need to kill a certain enemy to get a key & the final area of the DLC you don’t have to stand & fight at all. This means you can get from the beginning of the DLC to the last area within 10 minutes. The final area of the DLC sees you taking a stand on top of a tower waiting for Josh’s pilot to arrive. Enemies are non-stop spawning & there is a visible timer counting down to his arrival. It’s frustratingly difficult & generic but still the most fun part of the DLC. Other then being very short, even if you take your time this DLC can be finished within an hour, perhaps the worst thing about the DLC though is the characters themselves & the lack of interaction between Jill & Josh. I mean other then some pretty horrible conversations with Josh’s pilot they barely talk. Still…at least the DLC explains how Jill & Josh are able to rescue Chris & Sheva at the end of the main game. Very disappointing & a clear indication of where Capcom where looking to take the series overall. 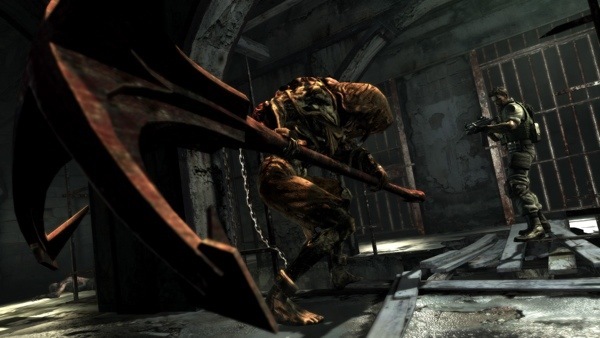 The 2nd piece of Resident Evil story DLC saw Capcom attempt to prove that they could still make a Resident Evil game scary while also offering a homage to the original game. 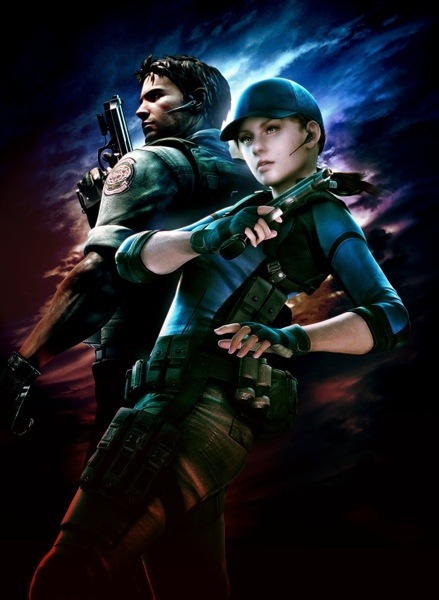 Set before the events of Resident Evil, Lost In Nightmares tells the story of how Chris & Jill got separated & how Wesker got Jill under his control. 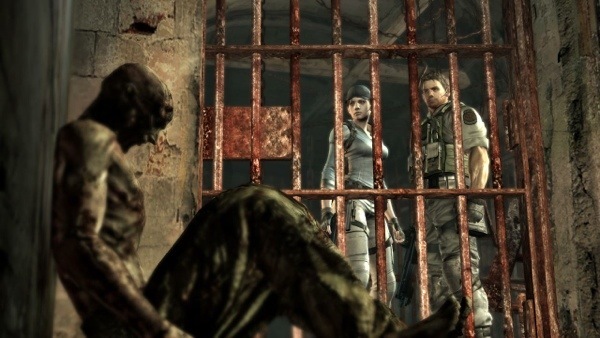 Chris & Jill arrive at Spencer’s mansion to arrest him but they find the place deserted & most of his guards dead. 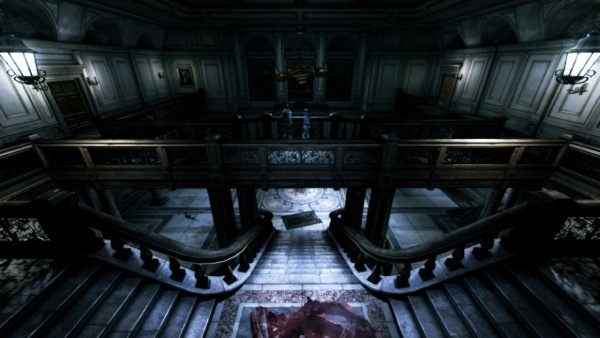 The mansion shares a lot of similarities with the original games mansion & some rooms are in the same locations that they were such as the dining room. 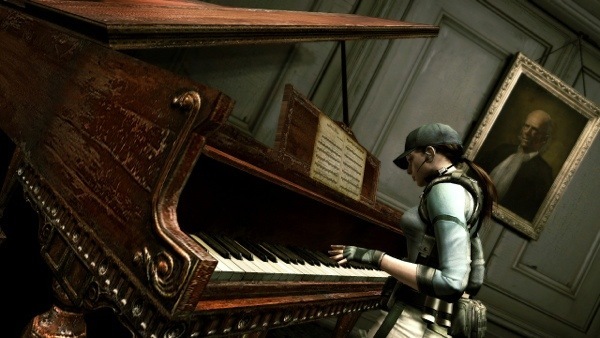 There are number of homages throughout the DLC ranging from the dining room fireplace, a room with a ceiling that drops & my personal favourite, the piano that has to be played. With a storm raging outside, blood stains on the walls & no-one in sight the mansion is an eerie place to be. It’s very old-school & there is even an attempt at a puzzle, albeit a very easy one. However it quickly becomes clear that the mansion is very small & there are no enemies in sight. When the one type of enemy does show up its almost a relief & while they are very tough to deal with they fall directly into the Resident Evil 5 brief of bigger is better. There is an excellent use of the co-op feature when it comes to dealing with these enemies where strategy is very important. Running eventually stops being an option & dealing with what is walking towards you is the only way forward. They even managed to throw in the odd zombie which is cool even if it does result in another QTE! Like Desperate Escape this DLC is far too short, it’s over before it has even really begun. It culminates in a boss battle that is pretty much the same thing from the main game yet it somehow feels more satisfying. At times this DLC is a vast improvement over sections of the main game but is far too short.